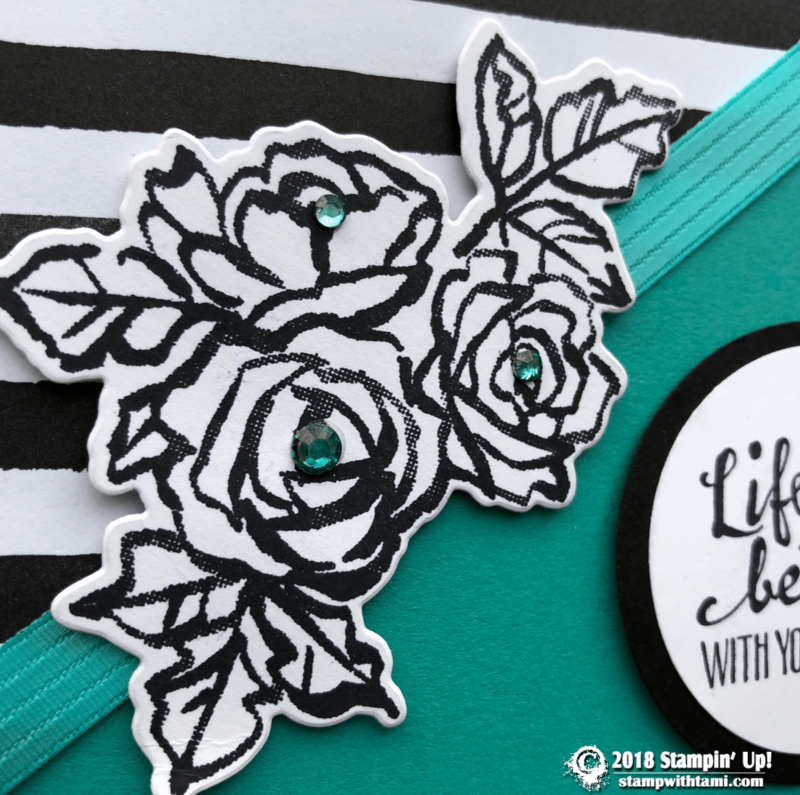 Today’s card is part 5 in my series on the Stampin Up Petal Palette stamp set and Petals & More dies. This is another black and white beauty, with a splash of Bermuda Bay. Tip: use the new Stampin Blends Alcohol Markers to color Rhinestones (and other embellishments) to match the project. Designed by Bonnie O’Neill. Stamp the flower image and words on Whisper White scrap. Color (4) Rhinestones with Bermuda Bay Stampin’ Blends Alcohol Marker. Using the Big Shot Die Cut Machine: Cut the flower and 2 circles (black and white words). Assembly: Assemble the card with Snail Adhesive, using Dimensionals on the circle panel and the flower panel. 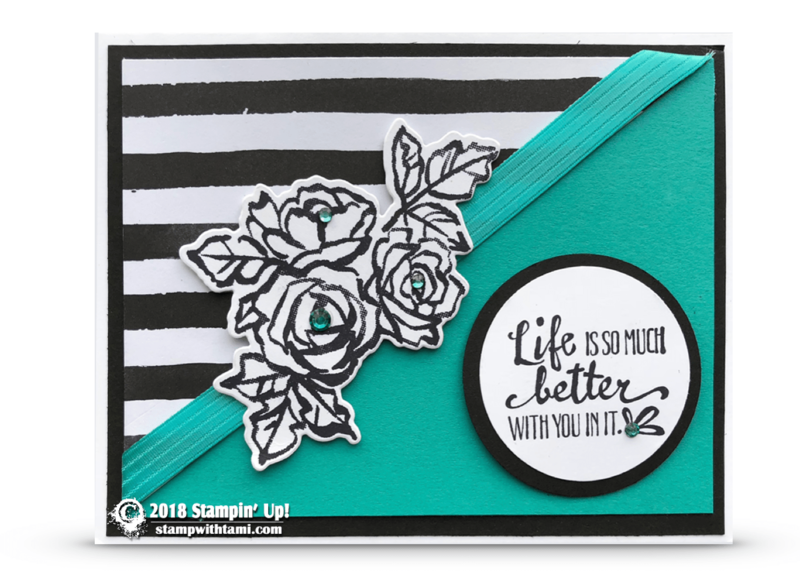 Measurements: White White Card Base = 8-1/2″ x 5-1/2″, Basic Black Card Stock = 5-1/2″ x 4-1/4″, Bermuda Bay Card Stock: 5″ x 3-3/4″, Petal Passion DSP = 5″ x 3-3/4″ cut diagonally and Black and White scraps. I love this design and if you don’t mind I would love to CASE it as I have the Petal Palette stamp and die bundle.